A few days ago we were contacted by a friend who reported an event that can be very unsettling. Our friend, call her “Claris,” was contacted by a Facebook friend who received a “friend request” from Claris even though she and Claris were already Facebook friends. Upon investigation, Claris discovered that she seemed to suddenly have two Facebook accounts in her name. However, one of these accounts had very little information on it other than Claris’ name and identical profile picture. The picture had been copied from her real Facebook account. What we would like you to notice in the above screenshot of the newly created account is that there is no real content to speak of and the account has no history. Look at the timeline in the upper right corner. Claris immediately sent out a warning on her real FB account and learned that a number of her friends had been contacted to “friend” her again and one person fell for the bait. The person who friended the fake account set up in Claris’ name received a private message from the fake Claris saying that she (the friend) had won some kind of consumer prize and her name was listed on some website-or-other about the prize. Fortunately, Facebook responding within hours, removing the fake page. 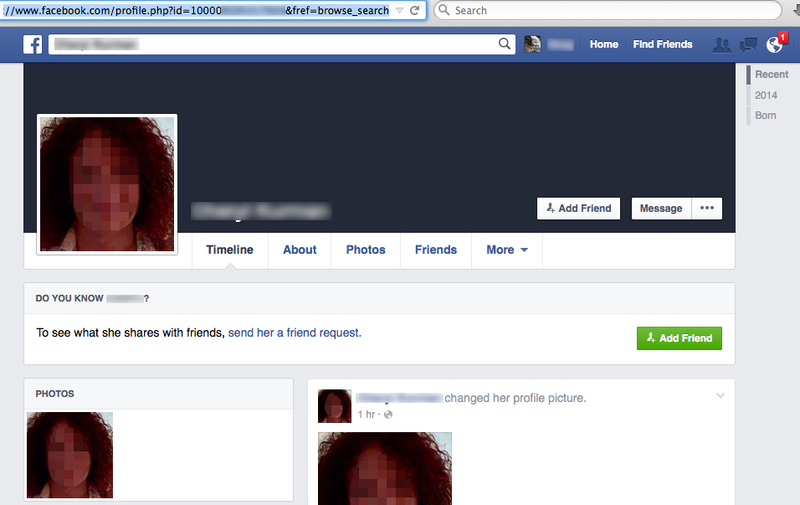 As a precaution, Claris changed her Facebook password and profile photo, and informed all her friends of the scam page.